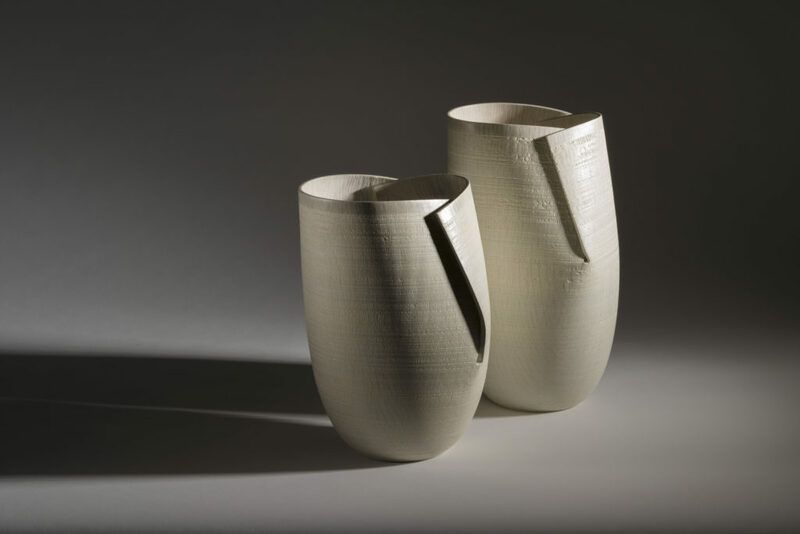 Every two years the Design & Crafts Council of Ireland convenes an international panel of craft and design experts to select the best contemporary craft and design of Irish origin. In late November 2018 I travelled from London to Kilkenny to spend three days with my fellow panellists, reading dozens of submissions and looking at hundreds of images. 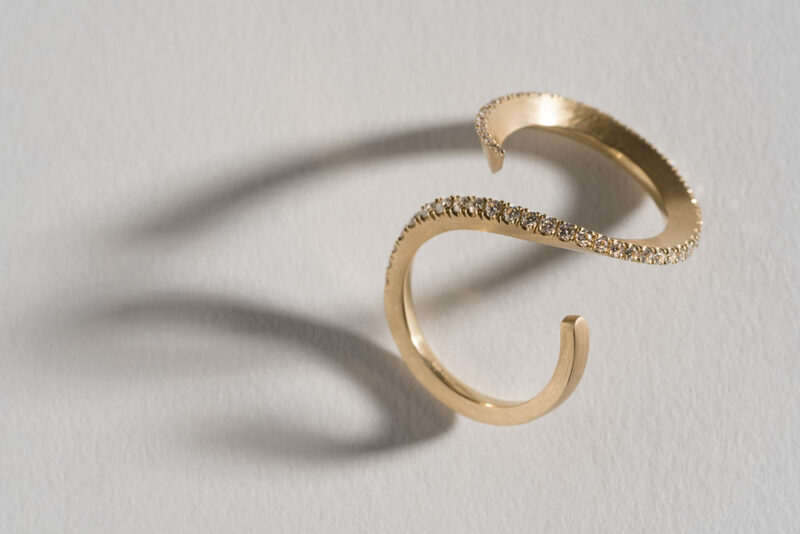 Our task was threefold: to judge the RDS’s inaugural Irish Craft Bursary, to select designer-makers for the DCCOI’s online Portfolio and to make a more focused choice of makers, known as the Critical Selection. 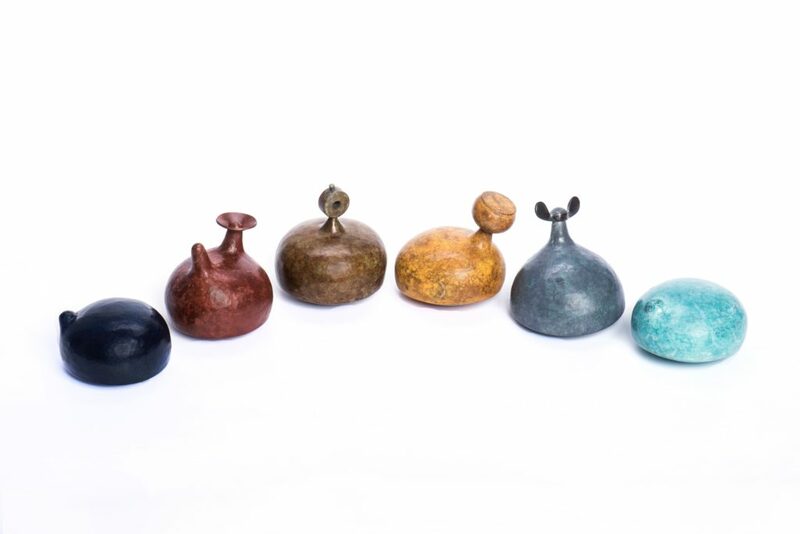 The Critical Selection informs the Surface Matters exhibition, and these makers are also profiled in the accompanying Critical Selection publication, both of which are on show at Dublin Castle. My fellow judges were Kim Mawhinney, senior curator at Ulster Museum in Belfast, and Belgian gallerist Johann Valcke, whose eponymous gallery is based in Gent. Both Kim and Johan have sustained experience of setting up exhibitions and vast knowledge of contemporary makers, so I felt especially honoured to be invited by the DCCOI to curate the exhibition. As we selected the makers I thought a lot about what linked their work together. Over eighty makers applied to the DCCOI 2019 Portfolio, so whittling the selection down to the 24 on show in the Coach House was a lengthy process, but immensely pleasurable. While the selection was a visual process first and foremost, we did not negotiate our conclusions until we had proceeded into the viewing room next door and closely examined the submissions. Definitely one of the best aspects of being a curator of contemporary craft is being allowed to touch the artworks. This touch may be mediated by latex or cotton gloves, but rarely does it fails to thrill. Kim, Johan and I found active delight in sharing our admiration, for the patina and striations on certain vessels; the highly polished finishes of silver and cabinetry; gleams and hues of assorted metals, gems and ceramic glazes; and the imaginative forms described by so many pieces. So much so that we agreed later over an evening meal that the surface finishes on the objects under our scrutiny were remarkable in themselves. This led directly to my declaration is that the surface matters, a useful mantra for those who value excellence in design and making. These objects, even if purely decorative, often have domestic and quotidian associations, and are created with familiar and tactile materials. Their forms, functions and finishes positively invite holding. Touch is of course by no means the only pleasing aspect of a well-crafted object: it will give much visual delight, may make pleasing or intriguing sounds when handled, and if made of an organic material may also have a scent that evokes other places or times, as soothing or disturbing memories. But when we talk about the surface quality of an object, touch is the sense that comes to mind first. The best designers and makers, as exemplified in the Surface Matters exhibition, have developed deep understanding of their material and processes. Their skill and knowledge is tangible in the handling and processing of the materials they use, whether it is raw matter like raw metal, wood, yarn or clay, or those mediated by manufacture, including molten glass, resin, alloys, glazes and varnishes. The surface is also the material of making itself and the way it has been handled, not just an outer coat or covering. Consideration of finishes is an essential part of the design and making process. Makers take pride is showcasing the materials they use in the best possible way. Each designer’s knowledge may have taken many years to gain, with years of training involved at art schools, through apprenticeships, work placements and short courses. As well as understanding of the materials, a solid comprehension of shape, form and spatial relationships underpins good maker practice and enables the making of beautiful and intriguing objects. The quest by good artists to develop their practices is lifelong, and is evidenced by the impressive list of many influential teachers, artists, makers and design heroes that the exhibitors cited in correspondence with me as we prepared the show. Some names were long gone but always treasured, and others very much at the forefront of contemporary practice and teaching. Unsurprisingly in a compact country some of the makers in Surface Matters have been influenced by their peers in the DCCoI Portfolio and it is particularly pleasing to note how many of this company of “influencers” are Irish-born. Names mentioned with love and admiration include Richard Deacon, Róisín de Buitléar, Sara Flynn, Eileen Gray, Clive Nunn, Nuala O’Donovan, Angela O’Kelly, Lucie Rie, Simone ten Hompel and Joseph Walsh. This is a rich collection of influences for any artist anywhere. In considering how the surface of a beautiful work of design and craftsmanship reflects its construction and interior, I’ve been reflecting on how the beholder is affected. By witnessing a superb piece of craft, appreciating its form, scent, the sounds it makes when handled and the very feel of its exterior, how do we feel ourselves? Writer Robert Macfarlane observes, “Touch is a reciprocal action, a gesture of exchange with the world. 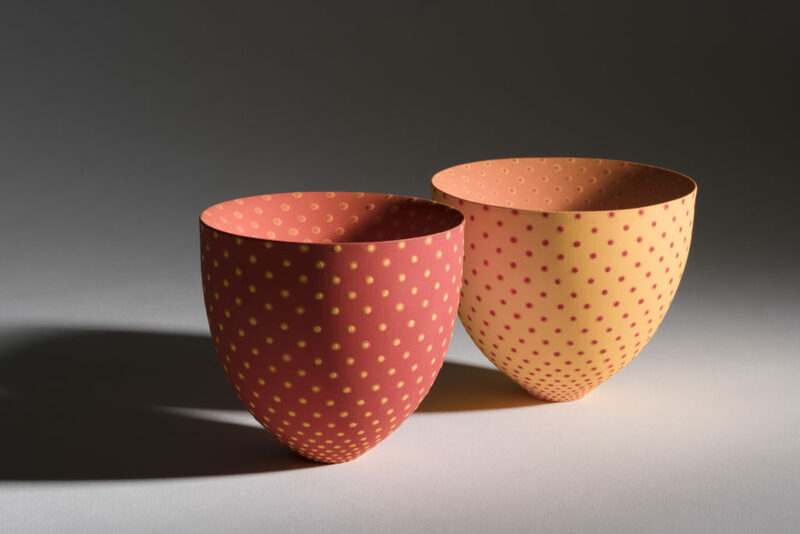 To make an impression is also to receive one.” While the holder of a completed piece of fired porcelain or burnished wood may not be making a physical impression on its surface in the way that its maker did, the act of holding and beholding the work is still an exchange. My admiration and joy in the work is a reflection back to the maker, validation of their toil and skill, an acknowledgement of how the beauty of the object derives from the way that raw materials have been transformed. Putting this show together has been an absolute pleasure and I hope that visitors will feel the same way when they enter the Coach House to see the exhibition.